The Voice of Joyce: Bark! 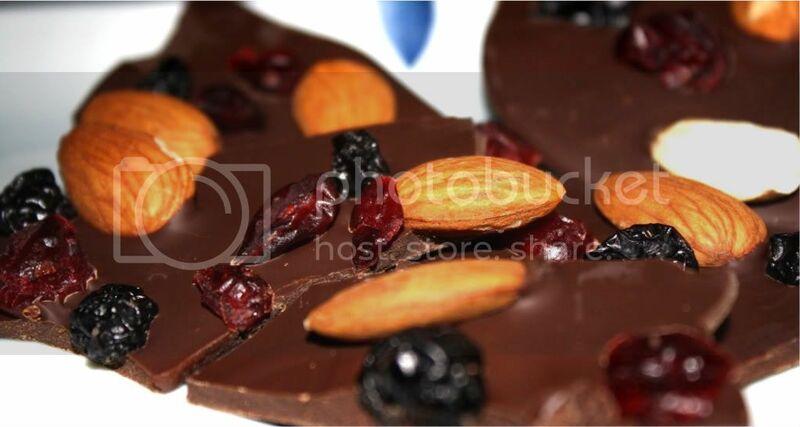 Not tree bark, but chocolate bark! It's easy to make and fun to eat. Melt some chocolate, add in whatever you want. If you use semi-sweet, you might have to add in some sugar. When your done, shove it in the fridge, then break it apart when its a solid piece. Love that it's a simple recipe. A perfect gift idea, if it would last long enough! Looks so scrumptious. I adore making bark. We have it every year during the holiday season. I think this year I'm going to do a chocolate and pistachio bark...it sounds so good right now. Thanks for reminding me of how much I love the stuff.